The euro posted a sharp rise of 150 points against the dollar yesterday, hitting $1.3695 largely on the back of encouraging manufacturing data from Europe. This suggests that currency investors are getting more hopeful that the recovery is finally starting to gather momentum on this side of the Atlantic. The gains for the single currency were accentuated as disappointing US economic data weakened the lure of the dollar. Although last week's poll suggests that investor sentiment regarding the European debt crisis has become more optimistic, the common currency struggled to hold its ground against the dollar yesterday, losing 14 points to $1.3546. For the moment, the risk-on mood which supported the euro has fallen back as the US economy continues to show that it in much better shape, attracting renewed demand for its currency. Economic sentiment in Europe surprised the markets yesterday as the figure came in at 73.3 versus expectations of 70.2, well above the 68.3 recorded last month. Nevertheless, investors did not feel confident enough to step back into the common currency, with the EUR/USD pair seeing another quiet day and closing rather unchanged at $1.3560. With the US on holiday, investors were cautious on the currency front. Although it seems more likely that the US dollar will appreciate this year, yesterday the euro gained 17 points to finish at $1.3552. The general consensus is that the US economic outlook seems encouraging. The question is whether, if things in Europe start to gain momentum, will that be enough to push up demand for the euro as well? Last week the US posted strong economic data for industrial production and the housing sector. This has helped traders discard some of the pessimism following the last set of non-farm payroll figures. At the same time, market participants were quick to back the dollar and hurt the euro on a relative basis. Whilst the Eurozone is estimated to recover going forward, albeit at a slower pace than the US, there are still big questions over how certain members (i.e. France) will be able to do it. 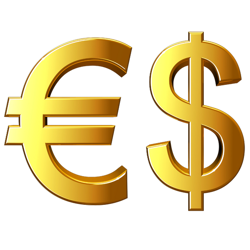 The EUR/USD pair dropped 92 points to $1.3526.